I've not done a great deal of painting recently. All I've managed is to finish another Swedish TYW regiment, some TYW and ACW casualty markers and a performing bear for my Poles, as well as some more cossacks and Pancerni that need basing. I've also made good progress basing my Crimean British and have made a start on some Russian artillery. 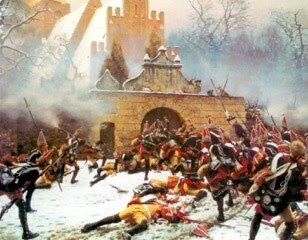 The Crimean stuff is moving on pretty well probably prompted by the current interest in 19th century European wargames at the club. I've even dug out my 1866 Austrians and Bavarians! Next week, back to normal, and hopefully two games. I've decided to make an attempt to get to Derby on 27/28 September assuming my health holds up. With the exception of one, or if I am lucky and up to it, two games the week after it will be just about my last 'airing' before I go in for spinal surgery on 7 October to sort out my lower back problems so I thought I would treat myself. Then I will be out of action for six to eight weeks, although I may still be able to get some painting done in short bursts. At last a messenger got through! 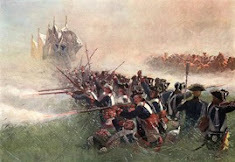 The French were eventually overwhelmed by superior numbers and Prussian artillery. 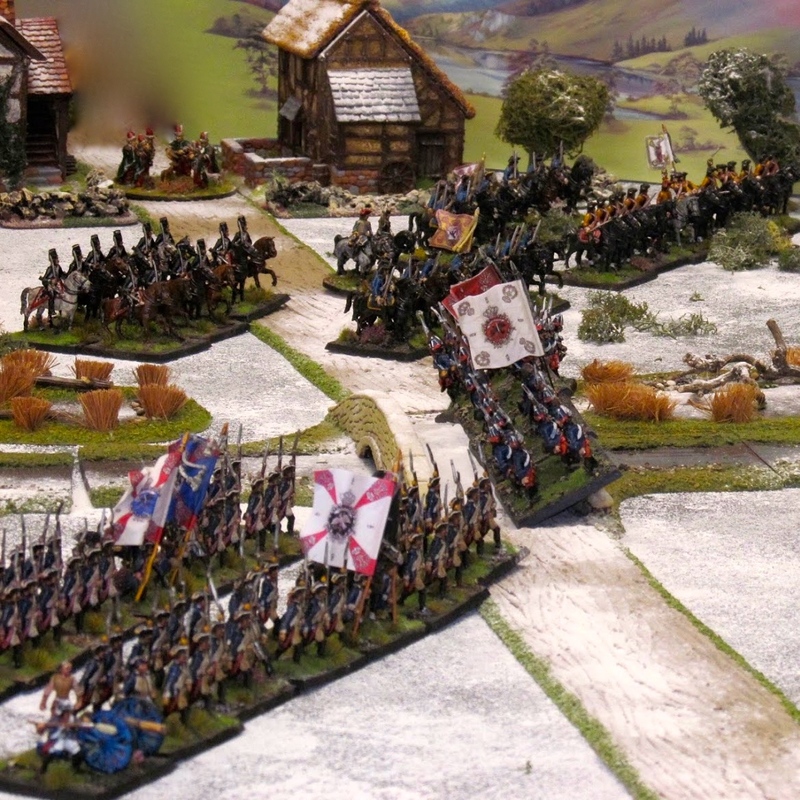 Game was actually loosely based on Wissembourg (1 French division v 3 Prussian corps!). Get the games in while you can! Good luck with the surgery! Hope it cures the troublesome back. swift answers to what happened after you were forced to retire. The Turcos held on in the village and their fire pinned down the German brigade trying to advance to their right (our new house rule, 2 hits in a move from rifle fire and the unit took cover and was pinned for a move). The cavalry did indeed blunder again but with less disastrous results (a retreat). 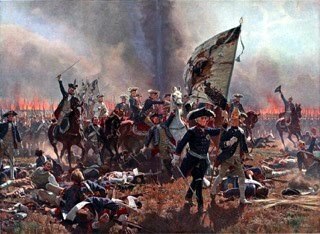 The Militraese hit nothing and the one that jammed was ridden down by Prussian Dragons storming across the river. 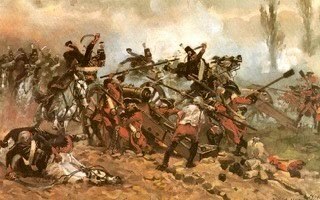 Your Brigade was overwhelmed and driven in although it did manage to get some revenge on the Dragons by mowing them down in a hail of Chassepot fire!. 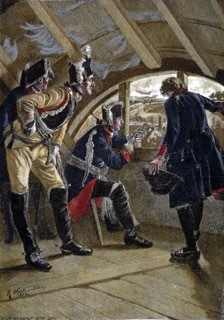 both bridges remained in French hands when the battle paused. French reinforcements has turned up and were advancing to drive off the Badeners. I m afraid i could nt make the finale on Thursday gone and dont know the ultimate fate.